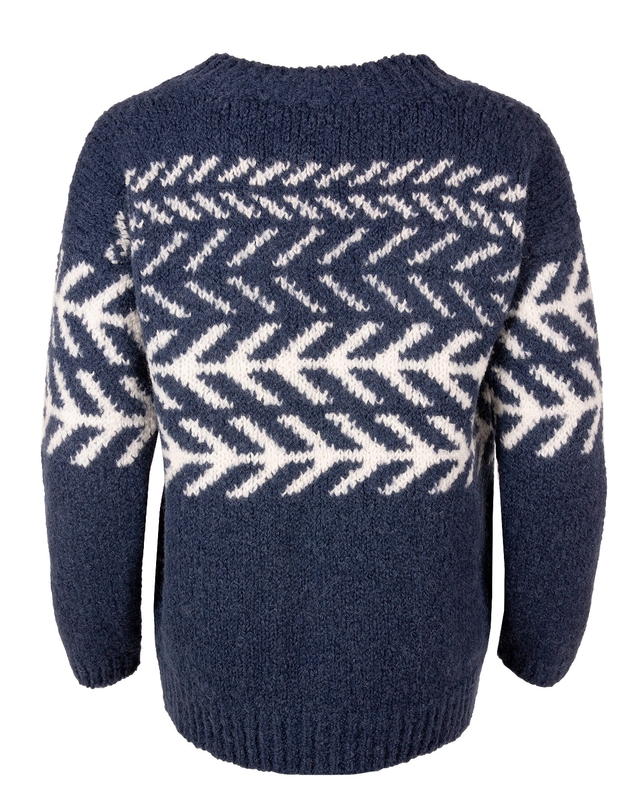 Add a touch of Scandi to your wardrobe with our statement Nordic Sweater. Made in Great Britain from a divine wool and alpaca mix, this chunky patterned knit is just the thing to keep you warm on a blustery Winter’s day. Just as I’d hoped. It’s a gorgeous jumper with a lovely dense, warm, cosy texture and a brilliant design. A real object of desire. 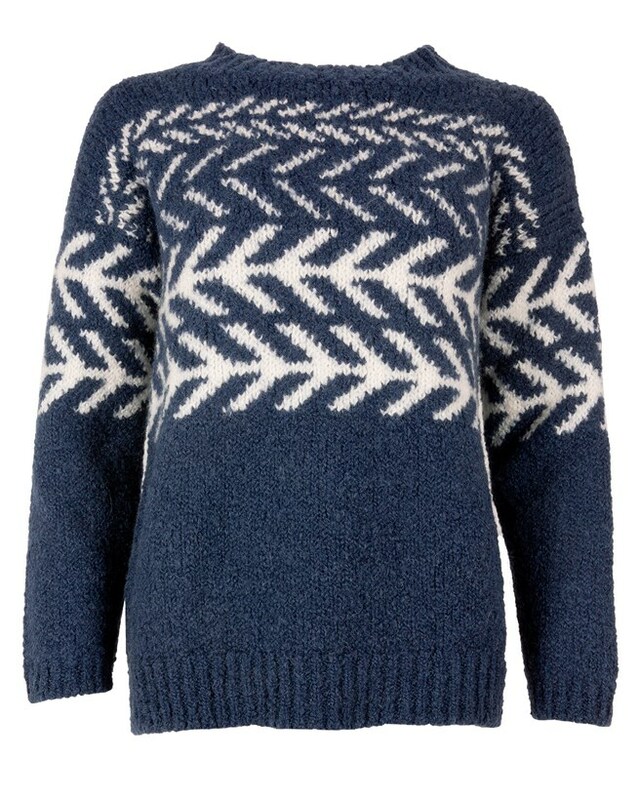 Stunningly beautiful winter jumper - and not 'itchy'! Thank you! Wow! This sweater is so soft! The arrow pattern is really fun. Mind you...it’s gigantic! I’m 5’6” tall and wear a US 0-2...the small sweater that I purchased is big enough to fit a buddy inside it with me! That being said, I like big, slouchy, comfy, SOFT sweaters and this one is ideal!